Set/3 Flower Step Stones for Merriment Mini Fairy Gardening. 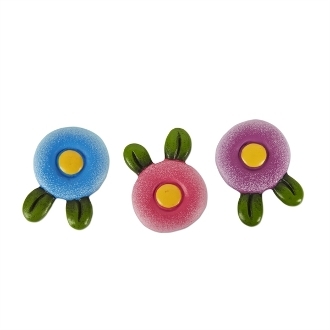 Full Description: Create a colorful path in your mini garden with these flower stepping stones. Features all-weather paint. Made of resin.